ACCORDING to the latest ABARES Australian Climate, Water and Agricultural Update the monthly soil moisture for the past month has revealed the relative upper layer soil moisture was well below average to extremely low across large areas of east coast and well above average across parts of the west coast. Note: This map shows the levels of modelled lower layer soil moisture (10 centimetres to 1 metre) during January 2018. This map shows how modelled soil conditions during January 2018 compare with January conditions modelled over the reference period (1911 to 2015). “Soil moisture was low across Queensland and adjacent parts of north east New South Wales as well as parts of western Victoria and Tasmania,” the Australian Climate, Water and Agricultural said. “However in contrast, it was well above average across southern New South Wales, eastern Victoria and much of the western half of Australia,” the report said. 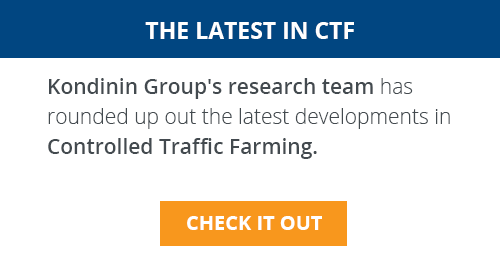 The report noted that in summer cropping regions, the soil moisture in the upper layer was extremely low for southern Queensland, and below average to average in northern New South Wales. Meanwhile it was average or above in southern New South Wales. 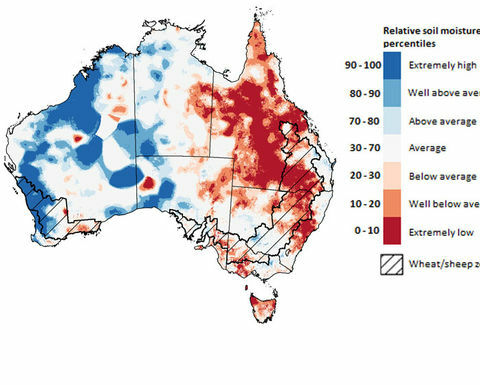 “Relative lower layer soil moisture for January was extremely low to well below average across much of Queensland, northern New South Wales, western Victoria, parts of eastern South Australia and eastern Northern Territory and much of Tasmania,” the ABARES report said. Again it was a different story for the lower layer soil moisture was average to extremely high across most of Western Australia and Northern Territory and much of South Australia. 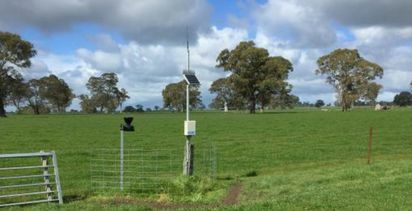 “Lower layer soil moisture was extremely low to well below average in cropping regions in Queensland and northern New South Wales, and below average in Victoria and eastern South Australia. 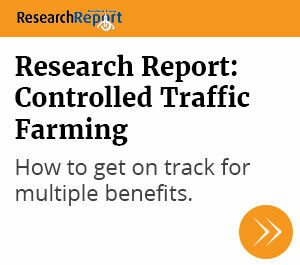 It was average to well above average in southern New South Wales, western South Australian and Western Australian cropping regions,” the report said. ABARES said sea surface temperatures in the central tropical Pacific have warmed slightly since late December, with most models now forecasting that La Niña will end in the southern autumn. 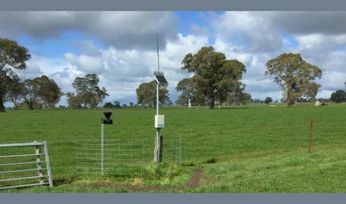 During summer, La Niña normally brings above average rainfall to eastern Australia–particularly in northern New South Wales and Queensland. 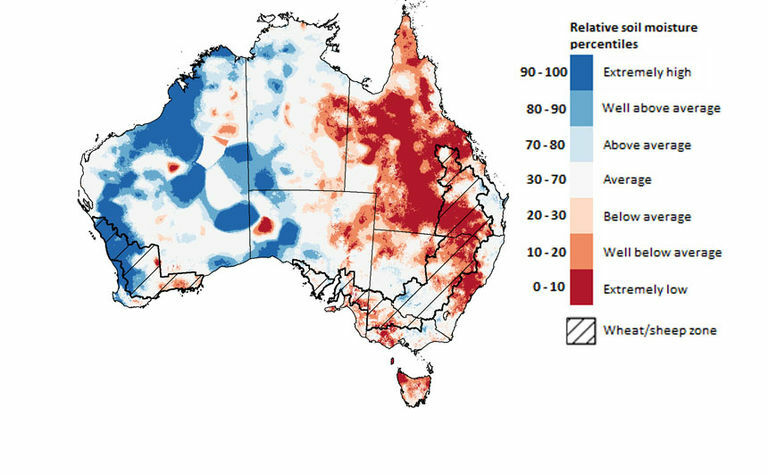 Bureau of Meteorology said in its monthly ENSO (El Niño–Southern Oscillation) Wrap-Up rainfall outlooks for Australia suggest that the current La Niña is likely to have less influence on summer rainfall than previous stronger events, however, La Niña can also increase the likelihood of prolonged warm spells for south-eastern Australia. For irrigators the water storage levels in the Murray–Darling Basin (MDB) decreased during the week ending 1 February 2018 by 379 gigalitres (GL) to 13,717 GL and are at 61 per cent of total capacity. “Allocation prices in the southern Murray–Darling Basin increased in the week ending 1 February 2018 to $109 per megalitre, an increase of $3 from the same time last week,” it said.